Individuals suffering a psychiatric emergency or “crisis” — whether calling 911 or seeking help on one’s own — frequently find the only possible destination to be their local hospital’s ED. These EDs often are ill-equipped and lack proper staff training to intervene effectively with mental health patients. Far too often, the default care plan is to isolate these patients (often either with a sitter or in restraints) and “board” them, while a staff member begins dialing the phone in a typically lengthy and frustrating search for an elusive psychiatric hospital bed. Many suggest the culprit for this situation is a dwindling number of psychiatric inpatient beds in the face of a growing incidence of mental illness, and so call for opening more psychiatric hospitals to solve the boarding dilemma. And indeed, more beds would help — but as a sole solution, it would only perpetuate the unusual circumstance of psychiatric crises being the lone medical emergency in which inpatient hospitalization is the default approach to care. If we treated another urgent medical condition — for example an asthma attack — like we do psychiatric emergencies, here’s how we’d provide care: A patient would come to the ED complaining of an acute asthma attack. 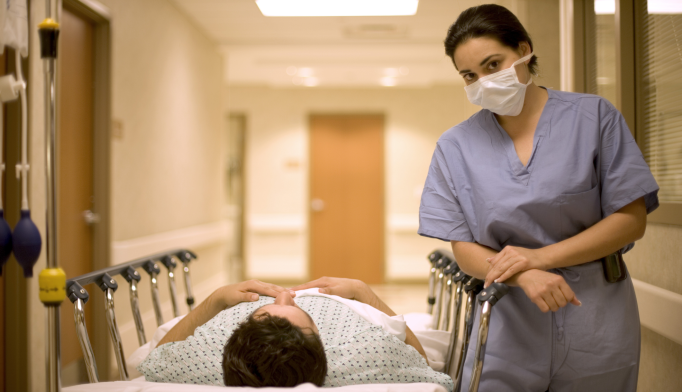 The triage nurse would notify security, who would surround the patient and put him into a restraint bed, leaving a nurse’s aide to sit with the patient, but not provide any actual care. Another nurse would begin dialing every hospital in a hundred mile radius, talking to several staff members at each program, and then faxing several sets of paperwork, only to be told time and again the patient couldn’t be accepted. At long last, three shifts later on the next day, an inpatient bed is located and an ambulance is summoned to transfer the patient to a hospital two counties away. Four hours afterwards, a low-priority transport ambulance has an opening and picks up the patient for the lengthy drive to the other hospital. The patient eventually arrives at the receiving hospital late in the evening, goes through multiple rounds of intake questions with various staff, and is checked into a room for the night. Around lunchtime the next day, a rounding physician finally comes to evaluate the patient, and writes a medication order. At that point, the nurse hands the patient a puffer. The absurdity of this analogy makes this approach in psychiatric emergencies also seem out of sorts — and it should. Defaulting to admission no doubt results in far too many patients going hours without treatment, and being unnecessarily hospitalized at a very restrictive and expensive level of care — while the resulting high demand for a limited bed supply logically leads to delays and backups. We have already confronted scarce medical/surgical beds in general hospitals by expanding outpatient and ambulatory services. Similarly, to reduce psychiatric patient boarding in the ED, rather than just looking at more inpatient space, shouldn’t we also be considering psychiatric alternatives at the front end, such as emergency and outpatient levels of care? Indeed, studies have found that with prompt intervention, the majority of psychiatric emergencies can be resolved in less than 24 hours, with no need for inpatient admission.5 The stumbling block in the past has been the lack of swift access to onsite psychiatric consultation in most EDs, leading to the reliance on admissions as a disposition. But with the widespread search for solutions to the boarding problem, multiple innovative avenues of care are now emerging, both within EDs and at external, outpatient programs. These offer new options to resolve acute psychiatric crises, while reducing ED overcrowding and avoiding unnecessary hospitalizations. Commencement of Care Algorithms: Even in situations where a psychiatric evaluation may not be possible for several hours, it does not mean that patients must wait in distress. Many straightforward treatments can start with ED physicians using standard protocols created in concert with their psychiatric consultant. On-Demand Emergency Telepsychiatry: In EDs across the country, where physicians are already familiar with telemedicine for radiology and other specialties, there is now a burgeoning presence of on-demand telepsychiatry, with psychiatrists able to evaluate and make recommendations for patients from remote sites. Psychiatric Emergency Departments: There now exists over a hundred dedicated emergency rooms in the U.S. just for psychiatric crises, which are known by a number of different acronyms (PES for “Psychiatric Emergency Service,” or CPEP for “Comprehensive Psychiatric Emergency Program,” to give two examples). These programs serve to evaluate and care for all the acute mental health crises for a given region, accepting patients via ambulance or police delivery, transfer from medical hospitals or self-presentations. Crisis Stabilization Units (CSUs): These programs can serve as designated outpatient alternatives to psychiatric hospitalizations, and are much like Psychiatric Emergency Departments, except that patients are screened and accepted from outside facilities rather than directly presenting. CSUs are often affiliated with a particular medical ED, from which they can accept medically stable patients and, like the psychiatric emergency rooms, will attempt to resolve psychiatric crises in less than 24 hours. Crisis Residential/Acute Diversion Units are longer-term programs (typically between three and 14 days), often set up in former private homes, which permit subacute mental health patients in need of a period of stabilization to do so in a comfortable community setting. This is much less restrictive and more cost-effective than a hospital bed. Scott Zeller, MD, is Chief of Psychiatric Emergency Services at Alameda Health System in Oakland, California, and past president of the American Association for Emergency Psychiatry. He is also a member of the Psychiatry Advisor editorial board. American College Of Emergency Physicians. ACEP Psychiatric and Substance Abuse Survey. Irving, TX: American College of Emergency Physicians; 2008. Weiss AP, et al. “Patient and practice-related determinants of emergency department length of stay for patients with psychiatric illness.” Ann Emerg Med. 2012;60(2):162-171.e165. Tuttle GA. “Access to psychiatric beds and impact on emergency medicine.” Chicago, IL: Council on Medical Service, American Medical Association; 2008. Nicks BA, and Manthey DM. “The impact of psychiatric patient boarding in emergency departments.” Emerg Med Int. 2012; 2012:306-308. Zeller SL. “Treatment of psychiatric patients in emergency settings.” Primary Psychiatry. 2010;17(6):35-41. Vestal, C. Getting Rural Patients Psychiatric Help Fast. Government Technology website http://www.govtech.com/health/Getting-Rural-Patients-Psychiatric-Help-Fast.html. Posted 6-26-2014, accessed 10-1-2014. Fishkind AB and Cuyler RN. “The Role of Telepsychiatry.” In Zun LS, et al, Behavioral Emergencies for the Emergency Physician. Cambridge University Press, 2013, p 303-306. Zeller S, et al. “Effects of a Dedicated Regional Psychiatric Emergency Service on Boarding of Psychiatric Patients in Area Emergency Departments.” Western Journal of Emergency Medicine. 2014; 15(1):1-6.